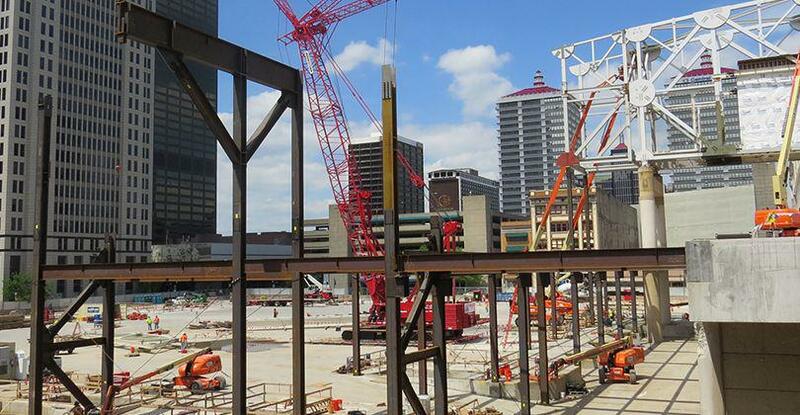 Work on the Kentucky International Convention Center has been moving along at a brisk pace since December of last year and Advance Ready Mix Concrete has been a key player in that construction. While the average passerby would never know all the work that has been happening on site for the past 6 months, 3500 yards have been placed in the basement area by the concrete contractor Whittenberg Construction. However, as we enter late spring the construction is moving above grade and we are starting to see major changes to the landscape between Market and Jefferson. Steel is currently being set and the placement of concrete slabs should happen soon. This progress was highlighted in a recent article on Business First of Louisville.